Leaves rustle, a twig snaps, your prey moves. To hit your target you must properly interpret the sounds of nature. Siemens SecureEar enhances the sounds around you, and protects your hearing by suppressing loud impulse noises, like a gun shot. 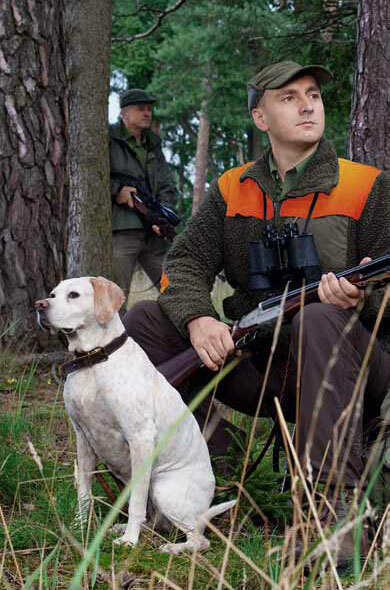 Good eyesight and a steady hand are essential when you’re hunting, and so is a keen sense of hearing. But the loud blasts of a rifle or shotgun pose a dilemma: while wearing uncomfortable muffs to protect your ears from the gun noise, you might not be able to hear the game, or your companions. Introducing SecureEar, the new hearing protection solution from Siemens. This small instrument is ideal if you want to protect your hearing but you don’t want to miss the snap of a twig in the woods. And it’s not just for hunting; SecureEar is also recommended for use in situations where there are sudden loud noises like those coming from motor sports, car races, or environments where blasting equipment is used. SecureEar is worn inside the ear canal. A Hearing Care Professional fits the instrument individually based on an impression of your ear. The exact fit of the instrument acts like a plug that dampens gun noise. This high passive protection can reduce the blast of a rifle by up to 35 dB SNR (NRR under evaluation). SecureEar also incorporates hearing technology that picks up and slightly amplifies the sounds relevant for hunting (including soft sounds like leaves rustling or a normal conversation). It acts like an acoustic telescope which you can adjust to suit the occasion. processing. This helps suppress sounds coming from loud shop tools, lawn mowers, and other similar equipment, while enhancing speech and other soft sounds. The instrument settings are pre-defined for optimum impulse noise protection as well as loud noise suppression – without any compromise to hearing and understanding. SecureEar is built to your individual needs. Great and nice blog.I am new in this blog,thanks for sharing this post.